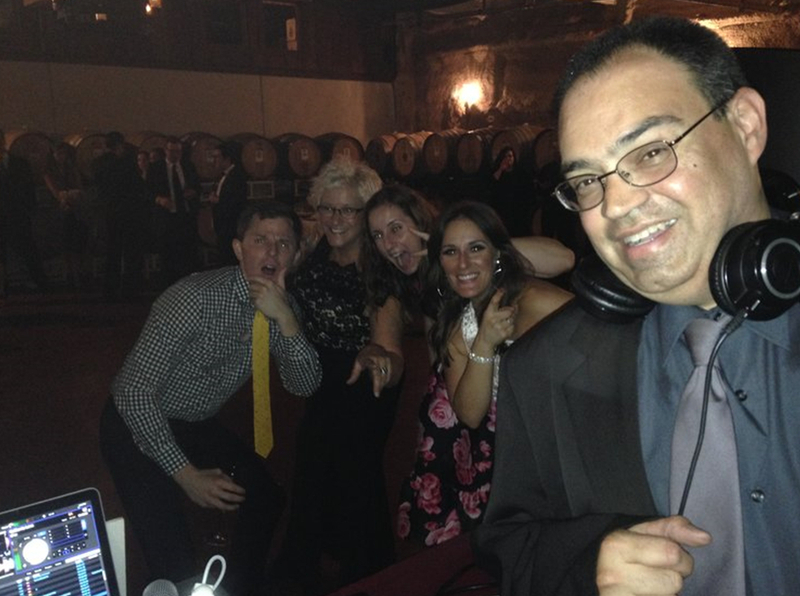 While all of our MCs are very talented Santa Barbara Disc Jockeys, Brian always plays the best song for every occasion. 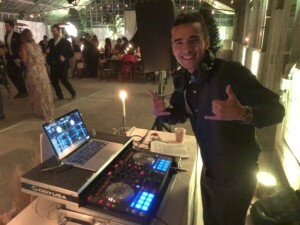 Brian brings amazing energy to all the Weddings and Events he DJ’s. 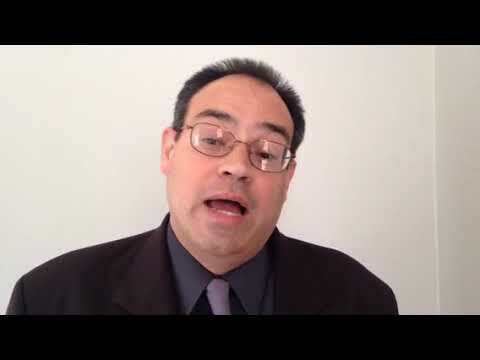 He is Fun, friendly and always exceeds his client’s expectations. Born in California, Brian is relaxed, always has a warm smile, and loves to play basketball at the Santa Barbara YMCA. 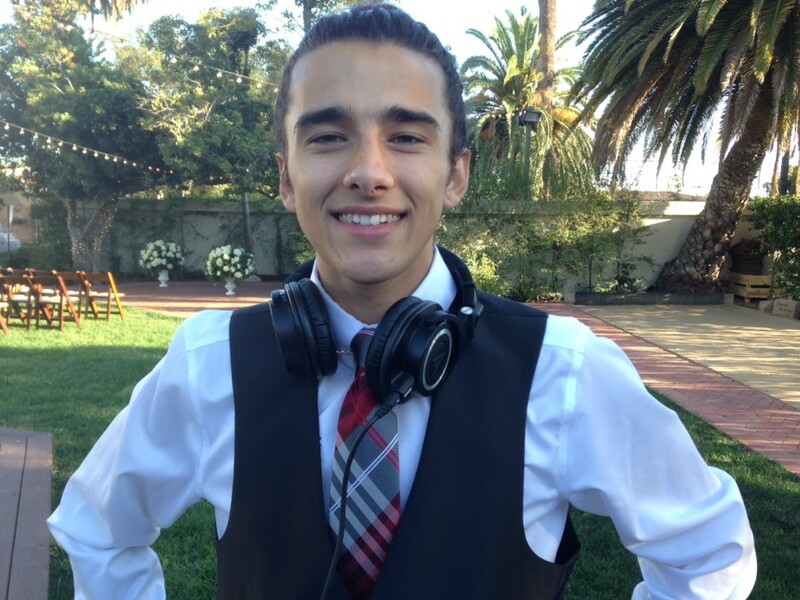 DJ Ben was born in Santa Barbara and graduated from Santa Maria High School. 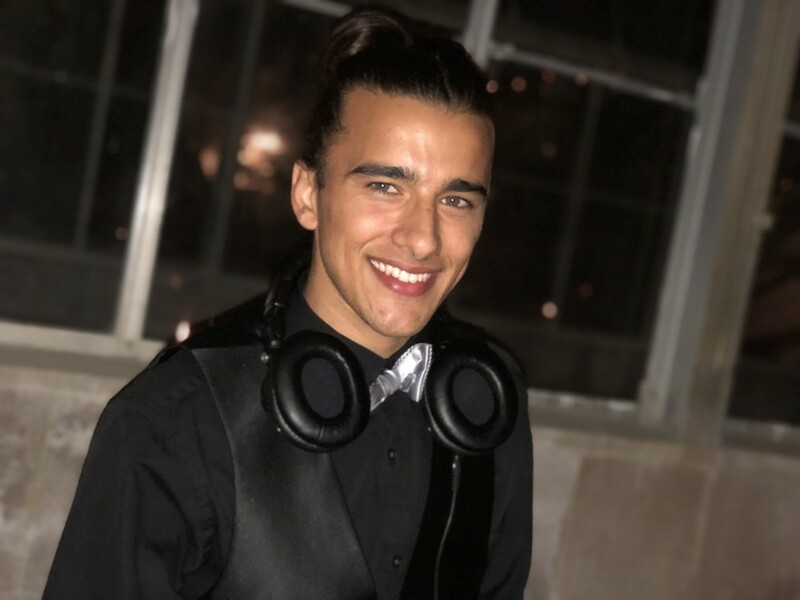 Ben is professional, friendly, and knows how to read a crowd and play selections that keep people on the dance floor. Ben loves the interaction with his clients and knowing that he plays an integral part in making their event a big success. Ben got his first radio dj gig while he was a senior in high school. He is married with a dog and two cats and his hobbies include vinyl record collecting and going to the movies! Scott is absolutely amazing to work with. He is professional, organized and it is obvious that his number 1 priority is the success of your party. We hired his company to dj for my daughter’s 16th birthday at our home in Solvang. He was accommodating and thoughtful and that can be challenging with a bunch of teens who are embarrassed to dance because “boys” are there. He and DJ Ben were up for the task and made the night a complete success. 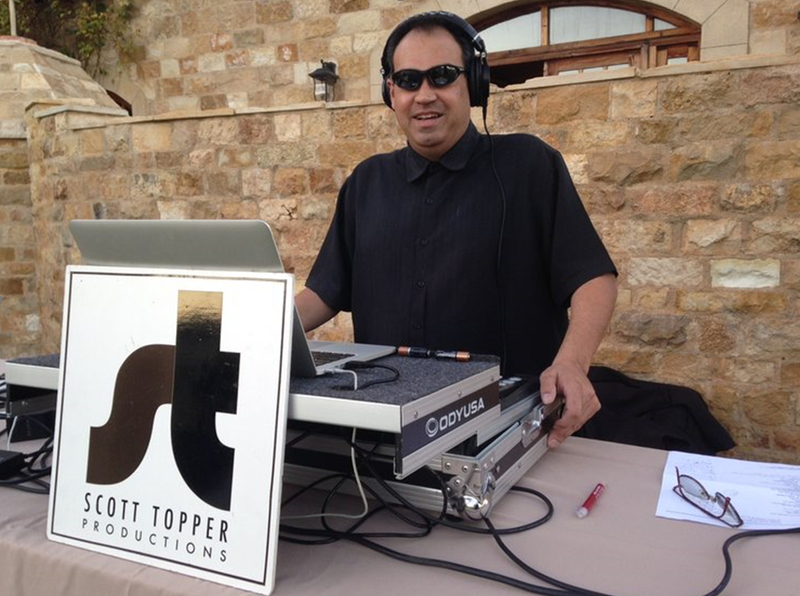 If you want to insure a successful event use Scott Topper Productions, you will NOT be disappointed!!! 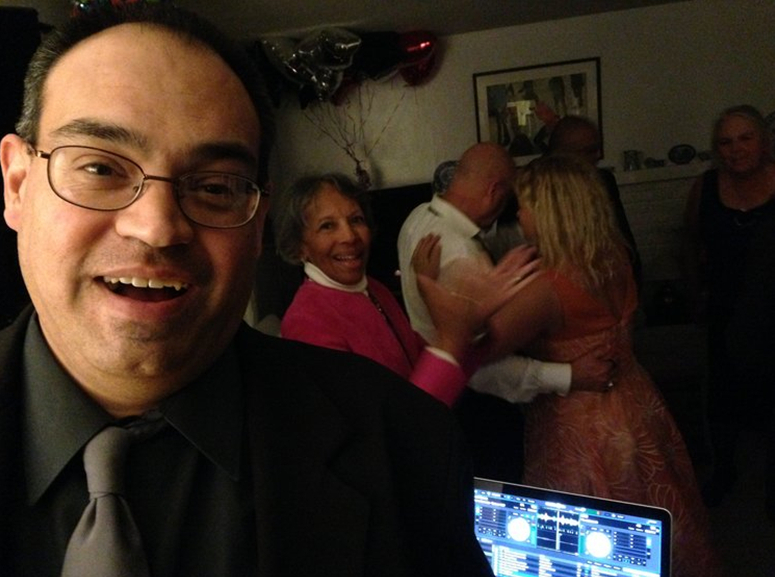 David has been a professional Emcee/DJ for the past decade. 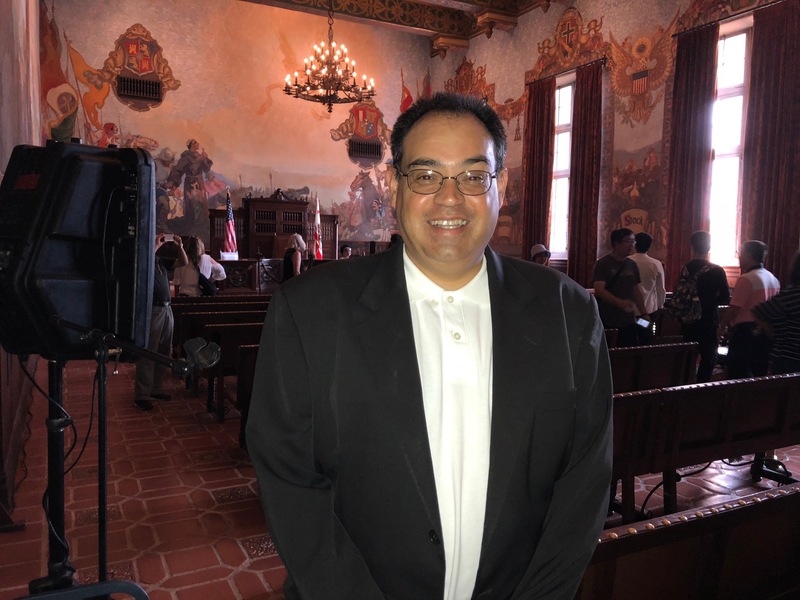 He has performed at hundreds of weddings and ceremonies in the Greater Los Angeles area including the San Fernando Valley, Santa Clarita Valley, Ventura County, Antelope Valley, and Santa Barbara County. 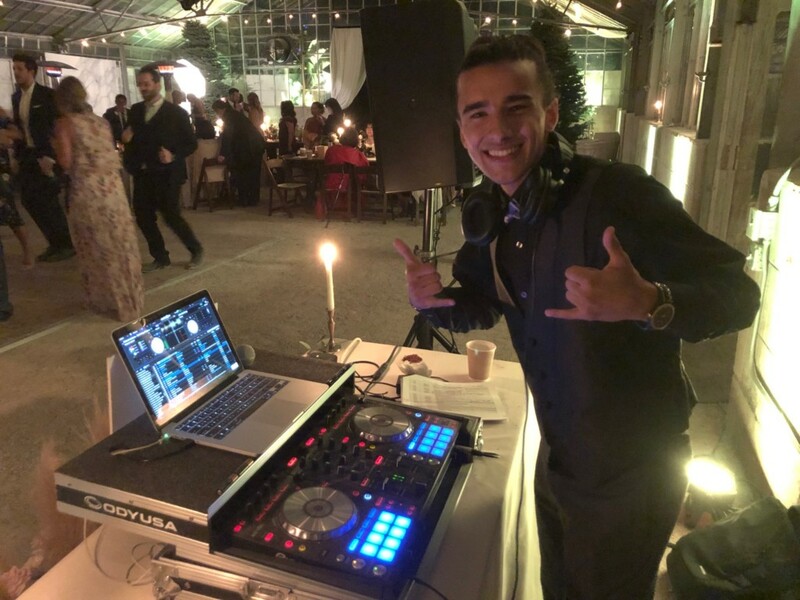 David excels in playing a variety of music for both dancing and listening – from Swing to Sinatra, Motown to Classic Rock, R&B to 70′s Disco, Club Music to Big Band, Ballroom Dances to Jazz, Classical to Latin, Ethnic to Contemporary, and any other request. David specializes in providing tailoring music to each event. 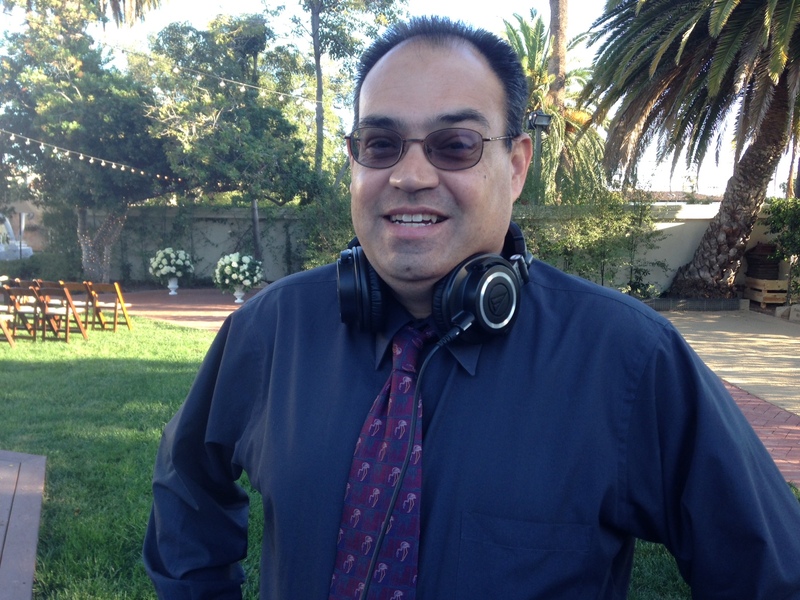 He has DJ’d at many Santa Barbara weddings in surrounding venues.